Ten years after Earth sent messages out into deep space, there has been an answer. Music from a distant planet has reached our radios. Are aliens about to invade? No one knows, and almost-eighteen-year-old Derek doesn't really care, because at a wild end-of-the-world party, Jennifer Novak invites him to play beer pong. And things . . . progress from there. Derek is in love. Deeply, hopelessly in love. He wants it all-marriage, kids, growing old on a beach in Costa Rica. Jenny is The One. But Jenny has other plans, and they may or may not include Derek. He'll try anything to win her-even soliciting advice from the alien who shows up in his hometown. This alien might just be the answer to Derek's problem. But is Derek willing to risk starting an interstellar war just to get the girl? And just how far will he travel to discover the mysteries of the universe-and love? 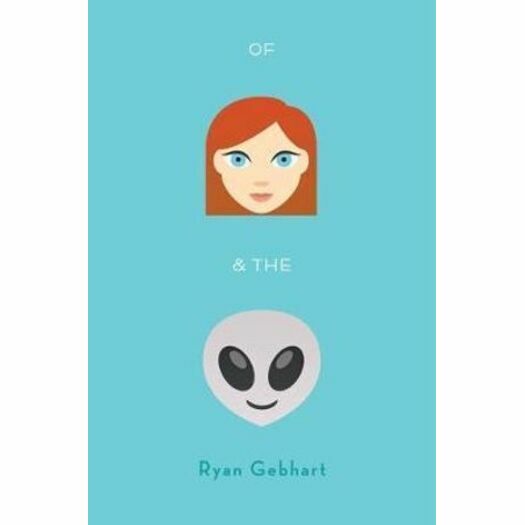 At once hilarious and touching, Gebhart gets to the heart of one teenage boy's first lust-and love-through the framework of an impending alien invasion. Ryan Gebhart is the author of the middle-grade novel There Will Be Bears. About Of Jenny and the Aliens, he says, "This book is about first love and discovering that we're not alone in the universe, and how maybe those two things aren't that different from each other." Ryan Gebhart lives in Ohio.